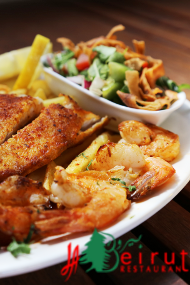 Enjoy the best of additional Middle Eastern cuisines such as ,middle-eastern,balkan,persian,iranian,iraqi,israeli at a restaurant near Parramatta. Individual pages are available for selected Middle Eastern cuisines. Two Middle Eastern cuisine restaurants are listed in Parramatta.